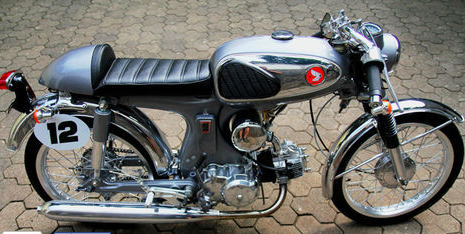 Not to be outdone in modifying the bike, the owner of the Honda S90 Racer from Jakarta Indonesia is also made it tub classic racing motorcycles. In the creative hands of these two modifiers Uprising S90 fate changed drastically. 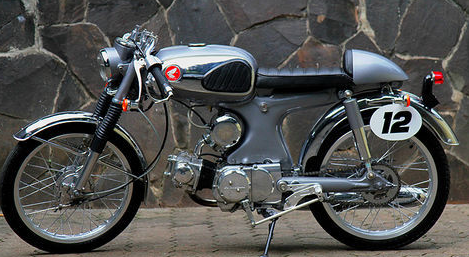 Honda S90 is gray. Using the 1969-based motor, both of which also the owner of the shop to turn it into a classic racing sport - classic Racer. Unique model S90 Honda lovers make it easier to 'build' into a classic racer modification. 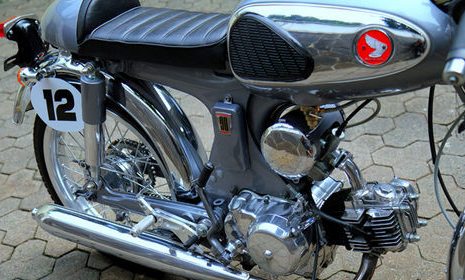 Many maintain the original part innate, the second modifier is used headlamp, speedometer and original tank but only obtained from colleagues. This was done to get the changes are simple yet striking on the classic theme of this racer. Sector framework remains intact with only adding bodywork for a single seat upholstery and the stern. 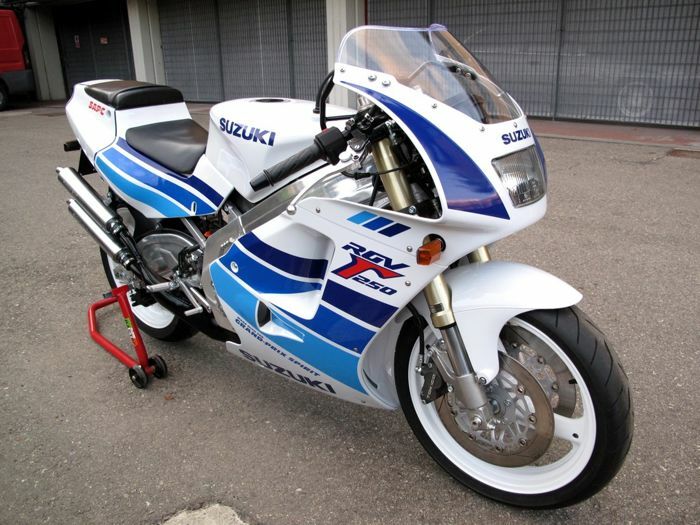 The legs; front fork, swing arm, suspension and even the drum still maintaining its authenticity. But to adopt parts made ​​of aluminum alloy wheels for racing effect. 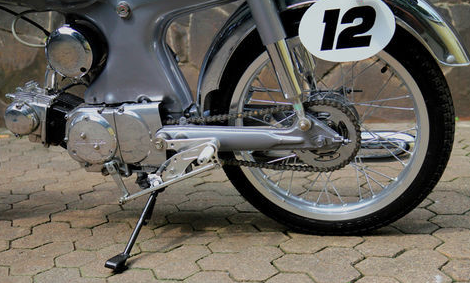 Set Footstep / custom foot peg positioned slightly backwards to get the driving position typical racer who tend to bend. Handlebar standard is also designed to be positioned upside down to get a lower driving position and is ideal for the style Racer. A touch of elegant color - gray blends nicely with some chrome accents on the panel accessories, tank and engine block, so inspiring is not it?